Zenit St. Petersburg of the top Russian League have made the addition of Sergey Antipkin, a 6’6″ setter and member of the Russian National Team. The move also takes Antipkin away from another team in the Russian Superleague, as he was previously with Dinamo Moscow going back to 2016. In this most recent campaign, Antipkin helped Moscow finish with the bronze medal in the postseason after they collected the third best mark in the regular season standings as well. Prior to that, the 32 year-old was with Spartak Moscow (2007-2008), Fakel Novy Urengoy (2008-2009), Terek Grozny (2009-2013), Gazprom-Ugra Surgut (2013-2015) and Belogorie Belgorod (2015-2016). Antipkin was born in Moscow and has been with the Russian National Team since 2013. With the nation he was a part of the 2015 European Games when the team won Bronze. Antipkin also owns a 323 cm/127 inch (10’7″) block touch and a 335 cm/132 inch (11’0″) approach jump. 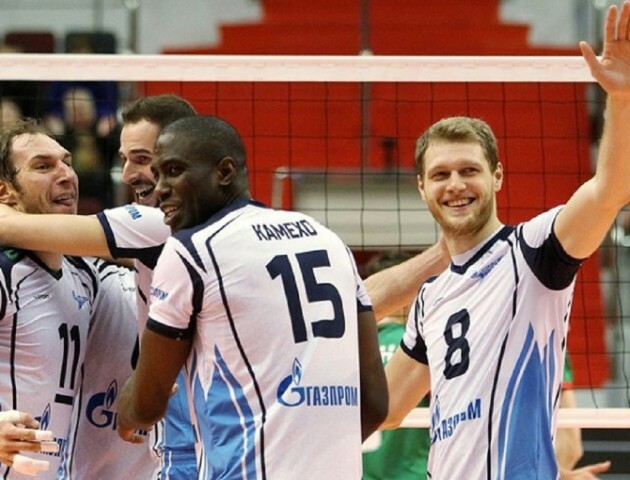 Zenit St. Petersburg collected a 17-9 record with 50 points in the Russian Superleague for 2017-2018 and wound up in fifth place in the regular season before making a run to the championship match in the postseason and earning the silver medal. The club was just founded in 2017, and now will look to unseat continual power VC Zenit Kazan at the top in 2018-2019 with Antipkin reinforcing the squad for the year ahead.